Eclipse cards are still all the rage and in today's video I'm going to show you how I created these cards using the Classic Label Punch for my Fence. 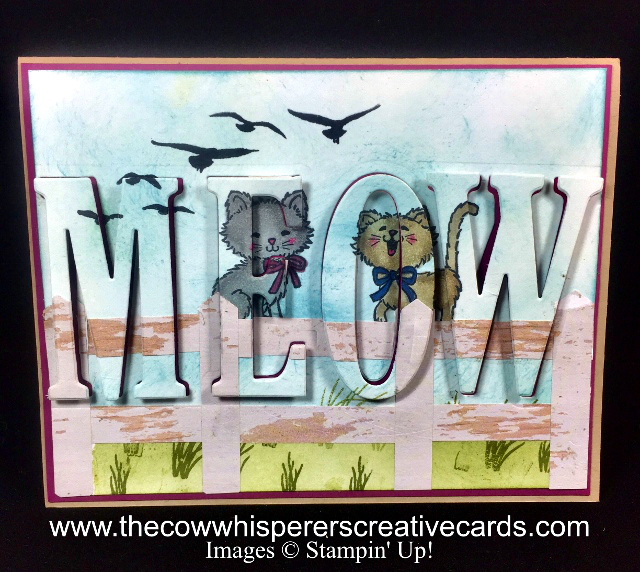 As you can see I've used my Stampin' Blends Alcohol Markers to color my Kitties and also sponged my grass and sky. I don't really go into that in the video as I wanted to focus on the creating the fence and the Eclipse part of this design. I couldn't resist bringing a Calico Kitty inside and this sentiment is absolutely spot on. 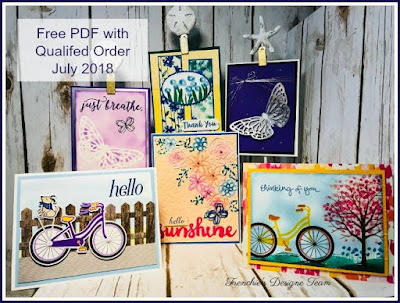 I'm using some of the new Stampin' Blends Colors in today's video and remember you purchase them as singles or in Combo Packs of Lights & Darks of each Color. All the Blends are located on page 205 of the current catalog is you would like to add to your collection. 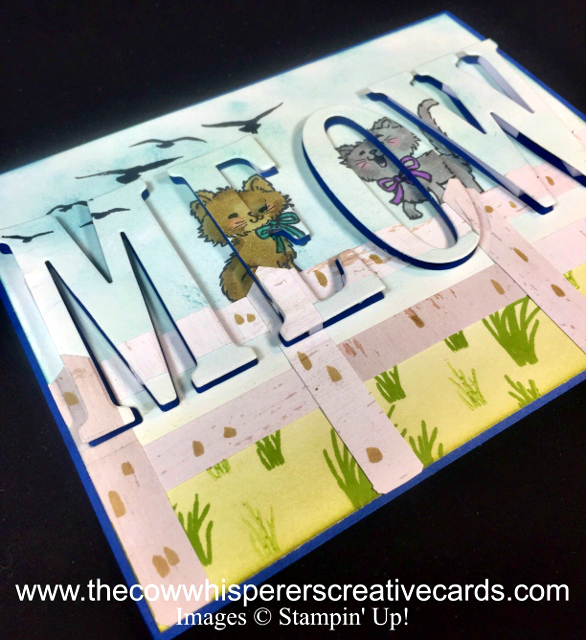 I will admit the Large Letter Framelits are an investment, but are well worth it as the possibilities for cards and scrapbooking are endless. 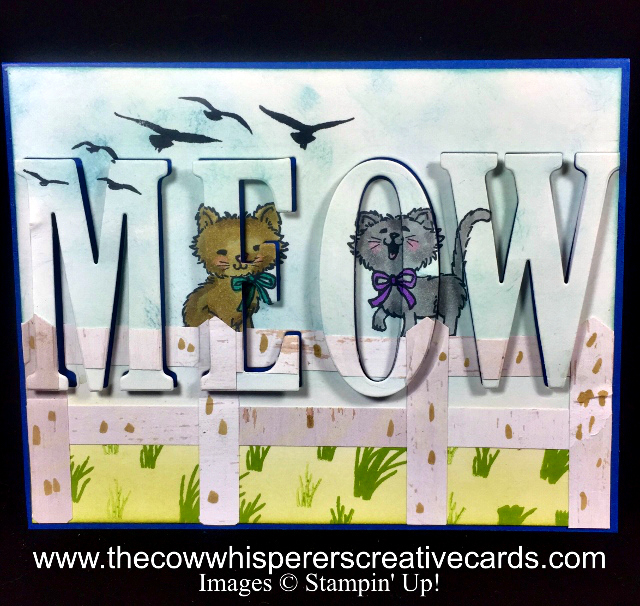 Measurements: Card Base - Pacific Point - 8 1/2" x 5 1/2" scored at 4 1/4" First Layer - Thick Whisper White - 5 3/8" x 4 1/8" Inside Layer - Whisper White 5 1/4" x 4"
Oh my gosh this card is absolutely adorable! Love love love it! 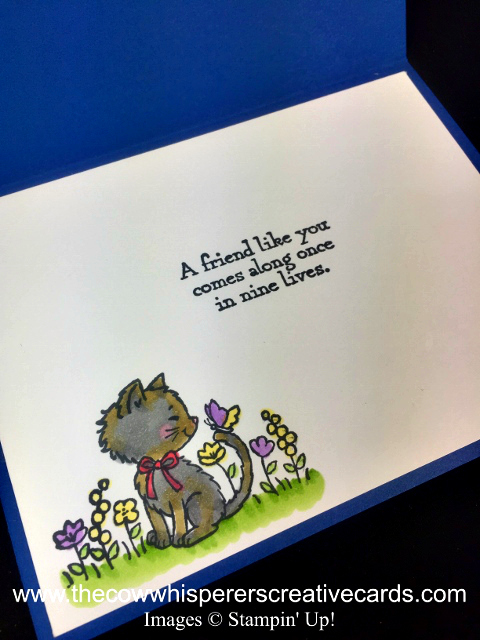 This is a precious card! Thank you for the easier view on how to do the eclipse card.